Dandelion root has been well known for its therapeutic uses for such a long time, thanks to its healthful properties as well as precious support for liver complaints. In particular, the benefits of dandelion root for liver detoxification and cancer-combating are widely accepted by many cultures around the world. The Native American tribes of North America prepared infusions and decoctions of the root and herb to treat kidney disease, dyspepsia, and heartburn. In Traditional Arabian medicine, dandelion root is used to treat liver and spleen disorders. 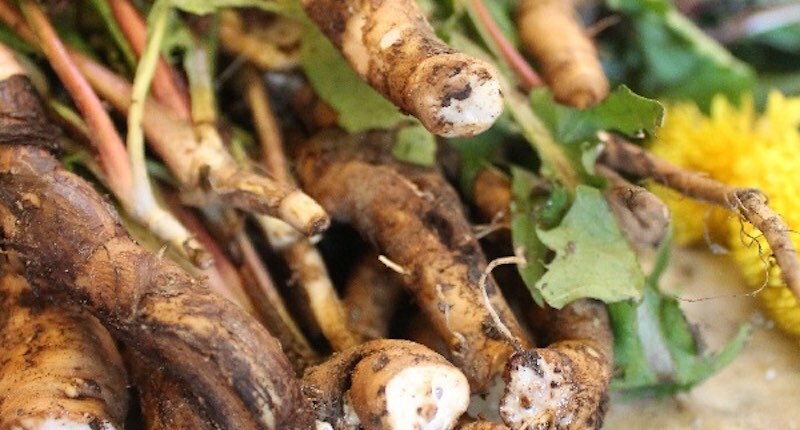 In Traditional Chinese Medicine (TCM), dandelion root is combined with other herbs to treat hepatitis, boost immune response to upper respiratory infections, bronchitis or pneumonia, and as a topical compress for mastitis (breast inflammation). 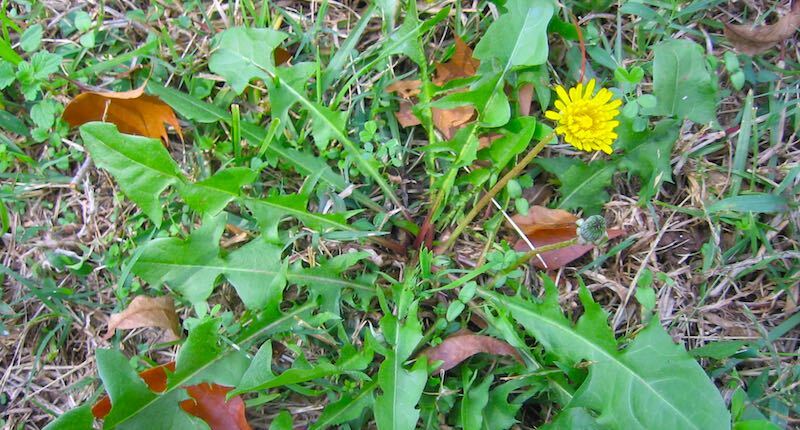 There are rich medicinal properties in dandelion that stimulate the functions of the stomach, liver, promoting bile and causing a diuretic effect to eliminate toxins and metabolic wastes through the urine. The bitter constituents of dandelion root—sesquiterpene lactones—are responsible for its effectiveness as a natural remedy for digestive ailments such as irritable bowel syndrome (IBS) and its other uses. This article provides you some useful information about how to use dandelion root to detoxify your liver and fight against cancer. Detoxifying the liver is one of the most important benefits of dandelion root. The function is also proved by many studies. In the book Encyclopedia of Herbal Medicine written by Andrew Chevallier, dandelion is said to support liver detoxification as well as promote increased bile production. As you might know, bile production is one of the main functions of the liver, which aims to filter and detoxify the blood. In these days, we cannot deny the fact that modern living brings us a variety of conveniences varying from foods, drinks to supplements, medicines, and other health and beauty care products. However, with convenience comes a certain level of toxins that can cause many health problems. As a result, our liver is affected as it works very hard to filter out toxins to keep the body toxin-free. When toxins become overwhelming, our liver suffers. Fortunately, dandelion root helps enhance liver function by restoring hydration along with electrolyte balance. More importantly, it is effective in stimulating the process of toxin elimination. Dandelion root has a bitter compound named taraxacerin that increases the level of bile flow released by the gallbladder. Thanks to this helpful property, dandelion root helps the liver detoxifies more efficiently. A study carried out on mice showed that dandelion root extract could contribute to healing alcohol-related liver damage. Furthermore, the extract also helps to eliminate toxins from the blood. In another study on mice, the dandelion leaf was found to be able to promote healthy lipid profiles, suppress fat accumulation in livers, and reduces insulin resistance. In addition, the natural remedy contains antioxidants that have a preventive effect against hepatoxicity. Dandelion is well applied in cases of jaundice and hepatitis, even cirrhosis of the liver. Nevertheless, this plant should not be used for those who have obstructive jaundice. Scientists have confirmed that dandelion is a potential cancer fighter, and has been successful with prostate, colon, breast, liver and works best for lung cancer. Dandelion root, leaves, and flowers bring us a lot of health benefits. This is all thanks to the incredible amount of strong antioxidants and phytonutrients contained in this plant. You would have read by now, about free radical damages—they are the main cause for cancers. Fortunately, dandelion possesses the free radical-fighting properties, which allows it to partially kill different cancerous cells in the body. Dandelion root is able to decelerate cancer’s growth, retard and prevent the spreading process. Herbal and folk medicine also use this plant to prevent breast and prostate cancer. According to researchers, the significant level of vitamin K in dandelion is key in this plant as a natural cancer-killer. Dandelion root was studied for its potential ability to fight against cancer in a Canadian study in 2011. The result states that the root extract can induce melanoma cell death but not affect any other healthy cells. After many experiments, the study came to a conclusion that dandelion root presents a potential non-toxic solution for conventional leukemia treatment. Not stopping there, the beneficial plant supplies a remarkable amount of luteolin that is another known potent flavonoid that has the ability to treat and prevent cancer. In fact, it helps destroy core components of cancerous cells as it attaches to them to stop them from multiplying. Dig up about 20 dandelion roots, carefully keeping their root intact. Wash and clean them thoroughly under running water to remove all the soil. Cut up the roots so that they can be fed through your juicer chute. A masticating juicer works best for this purpose. Start with 1 teaspoon a day and gradually take up to 3 tablespoons of the juice depending on your body’s tolerance. Dandelion root juice can be very bitter, and it’s the bitterness that works its magic. Don’t try to mask the taste unless you really cannot take it. Alternative: Adding 1 tablespoon to a glass of water with a squeeze of lemon juice may be helpful. The lemon juice helps reduce the bitterness, while at the same time enhance the absorption. Take the juice at least 30 minutes before a meal. You should see some result within 3 weeks. Take a test before and after your condition to see the improvement. Drink one or two cups of dandelion root tea daily to detoxify your liver and fight against cancer. But, if you would like to make dandelion root tea yourself, here is a guide on how you can do that. Dandelion grow wild, just be sure that you pick the real dandelion as there are other lookalikes. Dig up dandelion plants. Try to keep their root intact. Separate the root from other components such as stems, leaves, and flowers. Then wash and clean them thoroughly under running water. Dandelion leaves and flowers have their own health benefits, so don’t throw them away. You can add chopped leaves to the tea after removing it from the heat to get additional health benefits. Pour a quart of drinking water in a stainless steel pot and put to boil. Remove the pot from the heat and let the dandelion steep for 40 minutes. Drain the root and enjoy the tea. You can use dried dandelion root instead of fresh ones. The process is still the same but it just takes only 5-10 minutes to boil the root. Emily Pham is a blogger with many years of experience on searching the best natural home remedies for beauty and health issues.